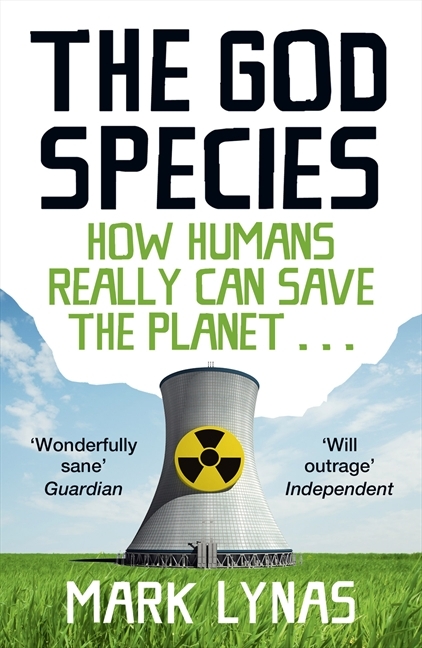 The God Species by Mark Lynam is about how humans are affecting the planetary environment and about how some of the things the environmental movement are proposing as solutions aren’t helping. Lynam explains why and suggests alternatives. Basically, technology has got us into this mess and only technology can get us out of it. As a long time environmental activist and journalist, Lynam challenges some of the central tenets of the environmental movement. He explains the concept of planetary boundaries and shows how we can identify a point of no return for several issues including biodiversity, nitrogen, land use and ocean acidification. Given these boundaries there are some solutions that will work and some that are contributing to the problem. Lynam says that the environmental movement needs to embrace some technologies it has been vociferously against in order to achieve its goal of saving the planet. I’m persuaded that humans are affecting the environment in ways that are damaging and that we have to do something about it. I recycle, buy organic food and try to be energy efficient. And I feel guilty that I don’t do more. But for sometime I’ve been uncomfortable with the smug, judgemental attitude that seems to go along with environmentalism, and a lot of that seems to centered around food. You’re a bad person if you don’t grow your own vegetables, eat only organic, natural food, and cook from scratch. Except that I don’t want to. It’s time-consuming and boring and I’m quite time-poor right now. Lynam argues that organic farming takes up more land and can’t support as many people. While it may be better for biodiversity than non-organic farming, Lynam argues that it is not as good for biodiversity as giving the land over to wilderness, so a better solution is genetically modified crops that need less land and more wildlife parks. I’ve never really understood why GM crops are bad, except for the practices of big agribusiness, so I like this idea. GM crops can also be developed to fix their own nitrogen and be pest resistant, meaning less use of toxic fertilisers and pesticides. The other big issue is energy generation. Lynam argues that it is futile to take a sack-cloth and ashes approach to how we will live and says that the challenge is to find another way to meet our energy needs. The only credible answer is nuclear power supported by renewables. This is another point I’ve never understood – that nuclear is so much more scary than carbon fuels. The French have been using nuclear for ages with little apparent problem. I enjoyed this very much. It was stimulating and caused me to change my mind about some things, and to think harder about other things. It left me feeling very positive about the future of the planet and for humanity. Defintely worth a read.